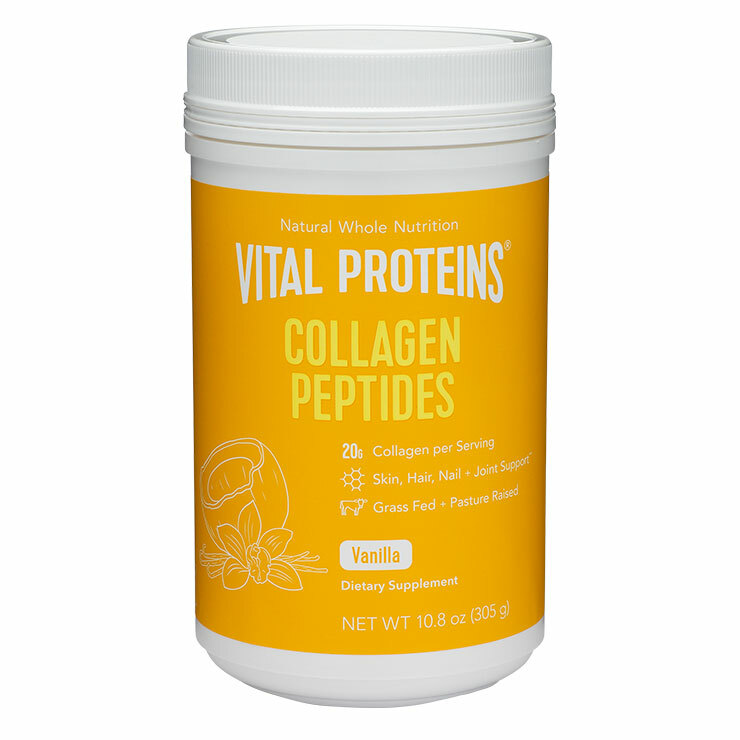 Vanilla Collagen Peptides by Vital Proteins serves up a collagen boost with a delicious vanilla coconut flavor. 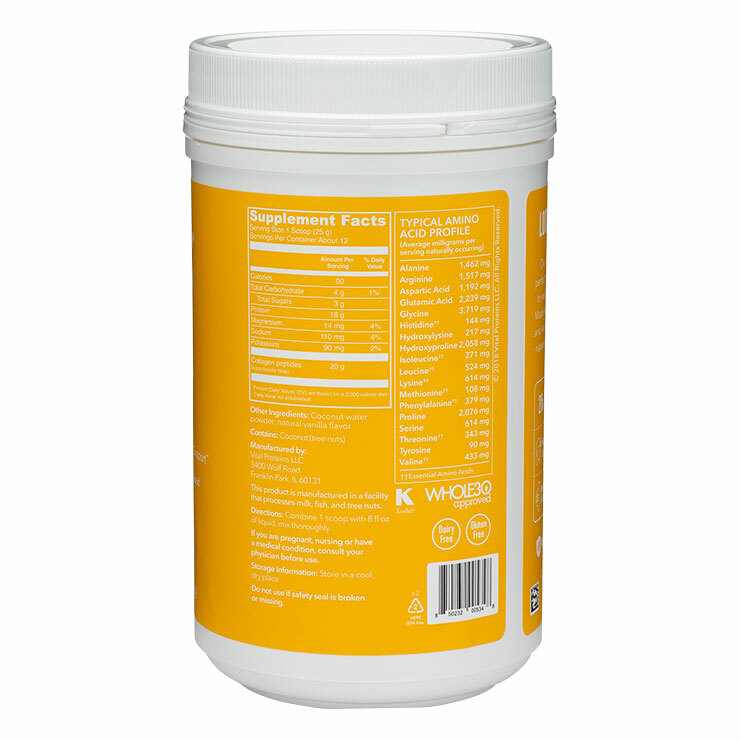 Easy to drink and digest, this supplement is sourced from grass-fed, pasture-raised bovine. Daily use helps support joint and bone health, improved digestion, and the health of skin, hair, and nails. Easy to use, simply add the powder to your favorite beverage, to smoothies for a protein boost, mix into hot cereal, or even use when cooking your favorite dessert. Perfect for paleo and Whole30 diets, this product is gluten-, dairy-, and sugar-free, and is easily dissolvable. 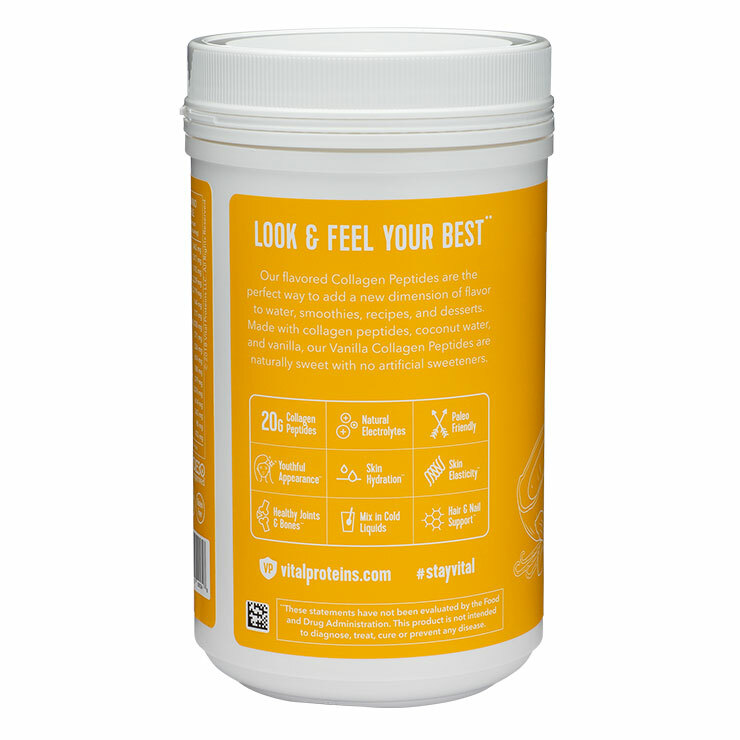 Add one to two scoops of Vanilla Collagen Peptides to cold and hot drinks, smoothies, hot cereals, and desserts. Use daily to beautify skin, hair, and nails, and support a feeling of overall health and well-being.